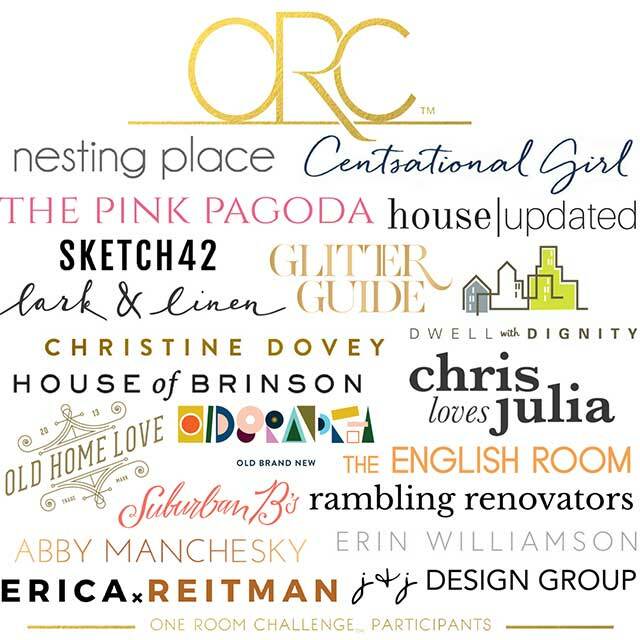 The One room challenge the big reveal is finally here! 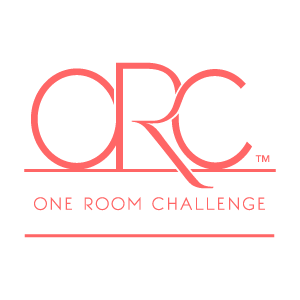 SKETCH42 : ONE ROOM CHALLENGE REVEAL! 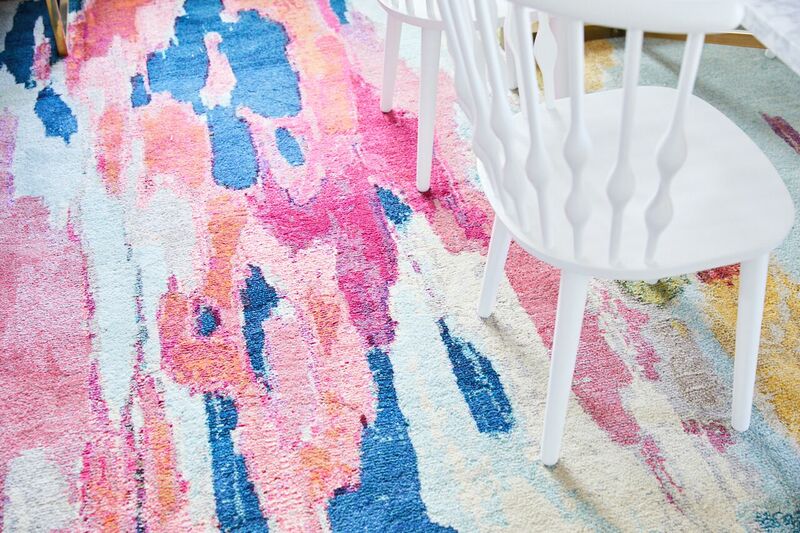 Dying over the rug! So bright and happy. 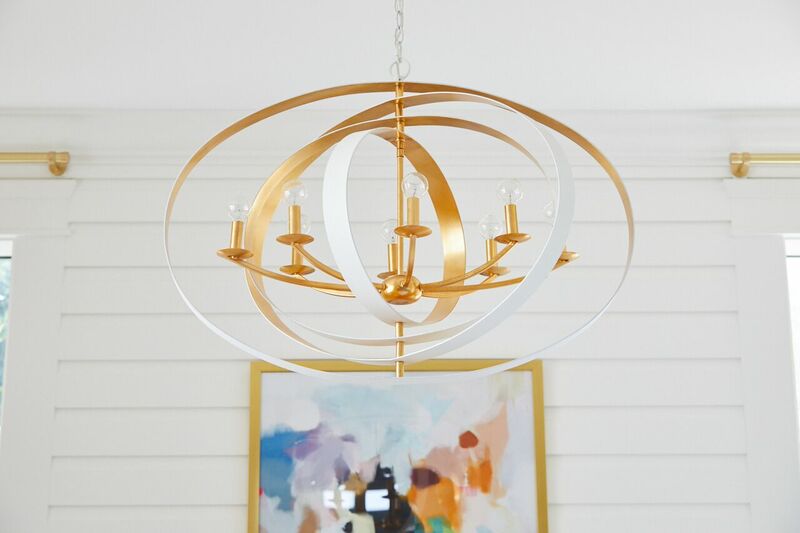 Bravo on surviving the One Room Challenge and a stunning reveal! Thanks Holly, Congrats to you as well! Your room was too good to be true:) You hit all my favorite points: Bright colors, animal print and of course GOLD!! WOW! 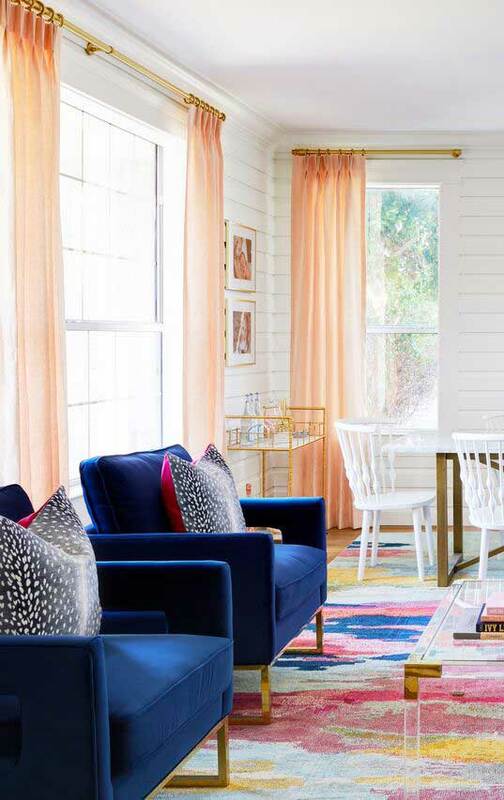 what a bold, bright space! 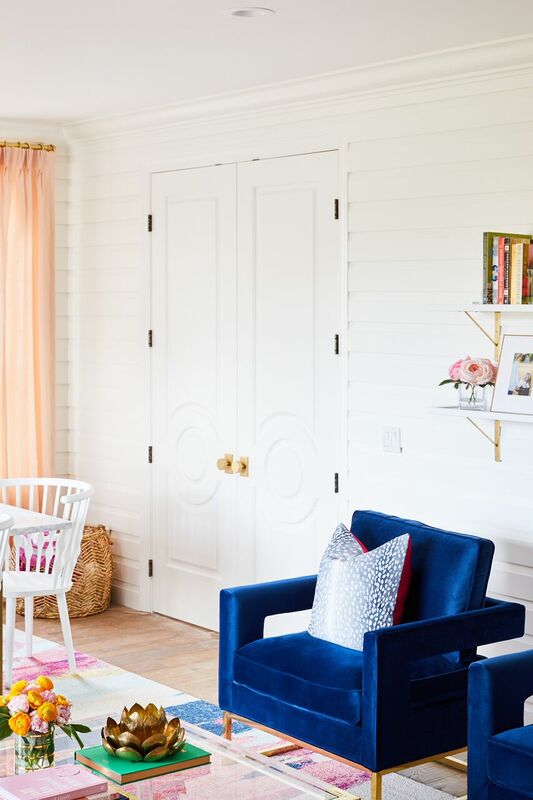 I adore it all- the blue chairs and the area rug are my favorite elements! 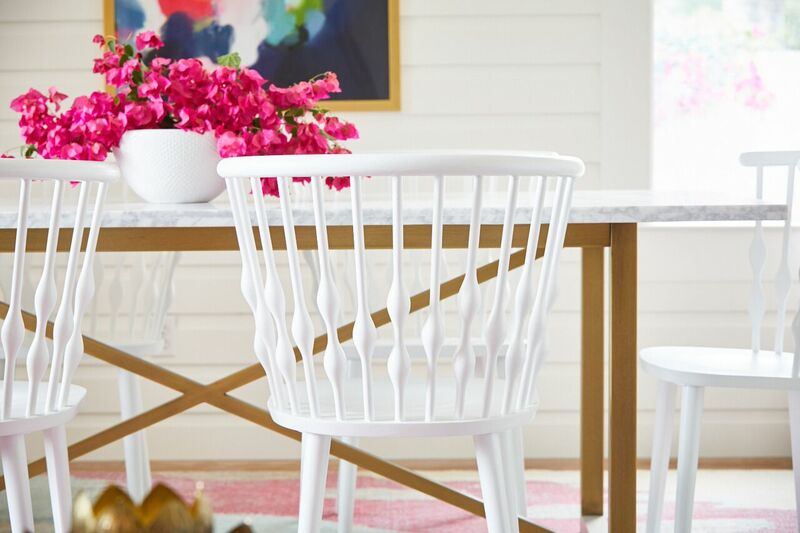 So bright and cheerful- love all the beautiful colour…also the dining chairs are fabulous! Beautiful job!!! Thanks so much Christine! You created the most chic basement I have ever seen!! I could just move right in!! GURLLLLLLL! I let out an audible gasp when I saw this room. It’s everything I love. 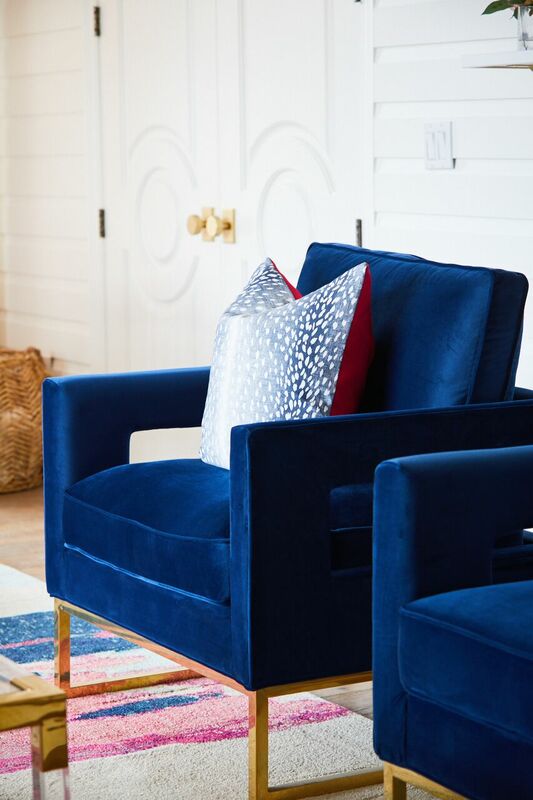 Give me all the texture, animal print, and jewel tones but done well. You did it!! Now you can enjoy it like a boss! 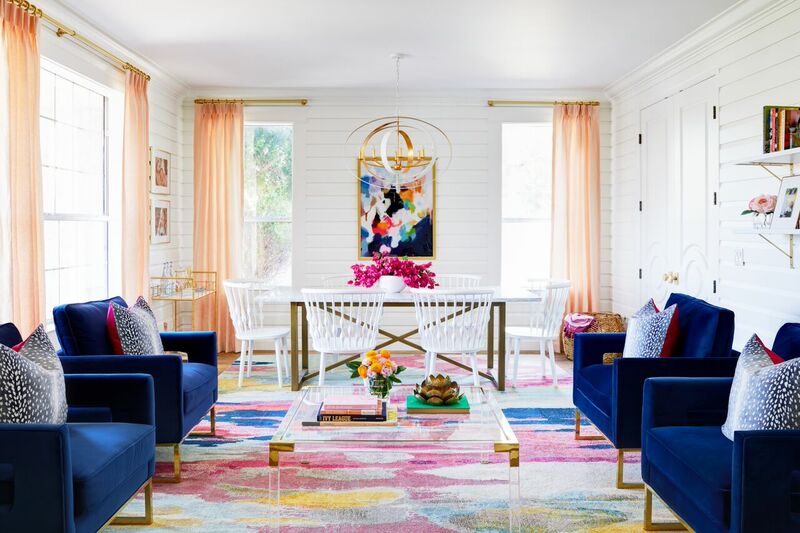 What a gorgeous and colourful space! That huge rug is perfection. 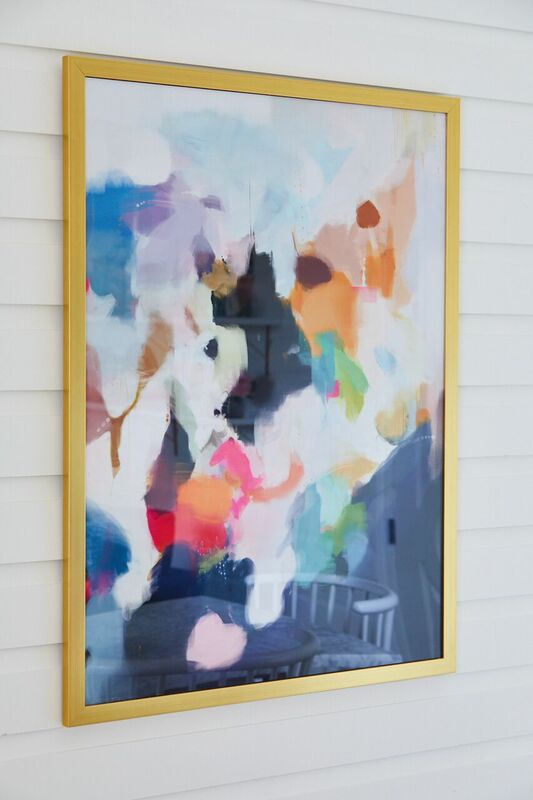 The moulding is the perfect backdrop and that art work really draws your eye into the space. Congratulations! Thanks Jen! Your room turned out amazing as well I die for your buffalo check chairs!!! Oh my goodness- I truly love this space! It is so happy and sophisticated. And I can’t get over those dining chairs. I have a feeling some smart furniture maker is going to start reproducing those because they are amazing!! Fantastic job on this space!! I don’t think I can type enough “OMG’s” for this post. Absolutely breathtaking. The color palette is everything that I’d love. Congrats on an incredible transformation. 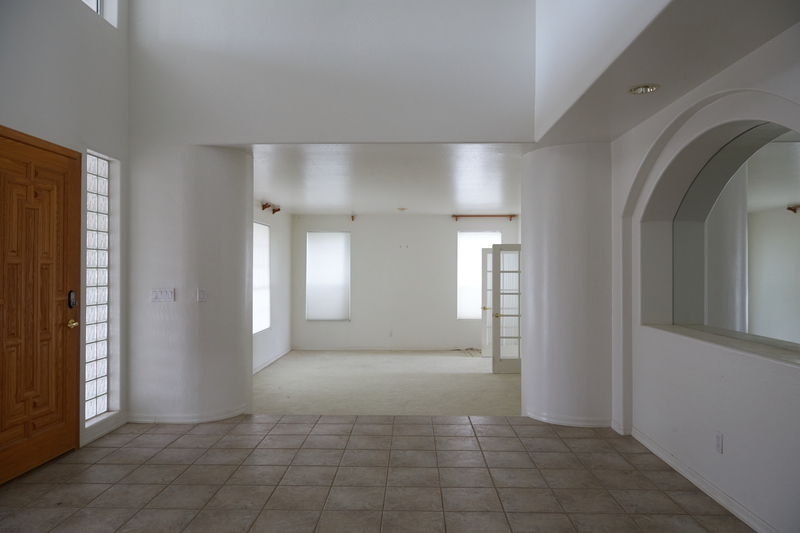 What an amazing space to make over! Thanks so much, I am totally blushing!! oh my gosh no lie this is my FAVORITE room in all of the ORC. I bow down to you, this is cool in a way that I could never pull off. Stunning transformation! What a chic and fun space to be in. And I’m adding those beautiful brass knobs to my list of wants! Wow! Your space is gorgeous! 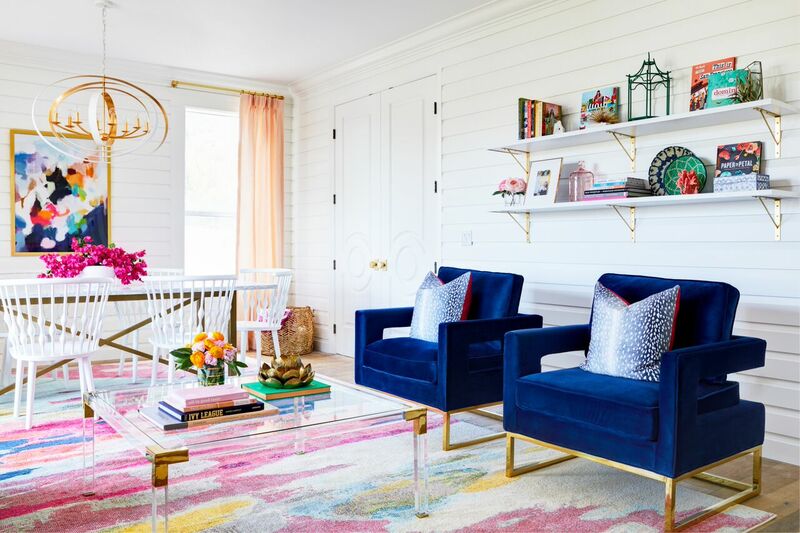 I love the rug so very much and the gorgeous shiplap adds so much subtle dimension! Love it! 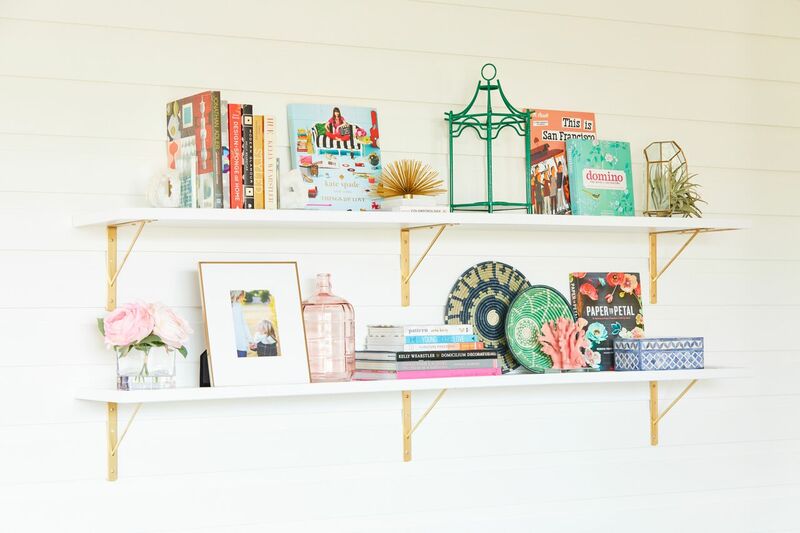 YAAAAAS – this space is all the cheery colour I could ever want! The styling and furniture are perfect. Well done! 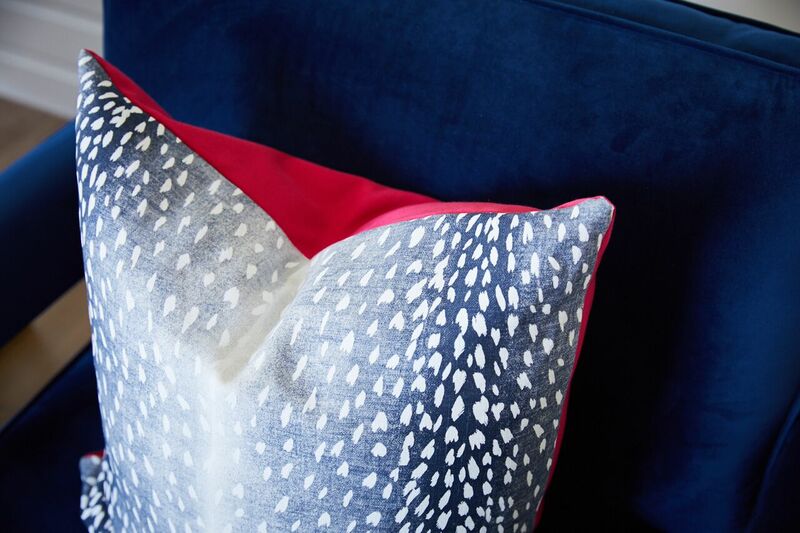 I love the whole space – so bold and bright! 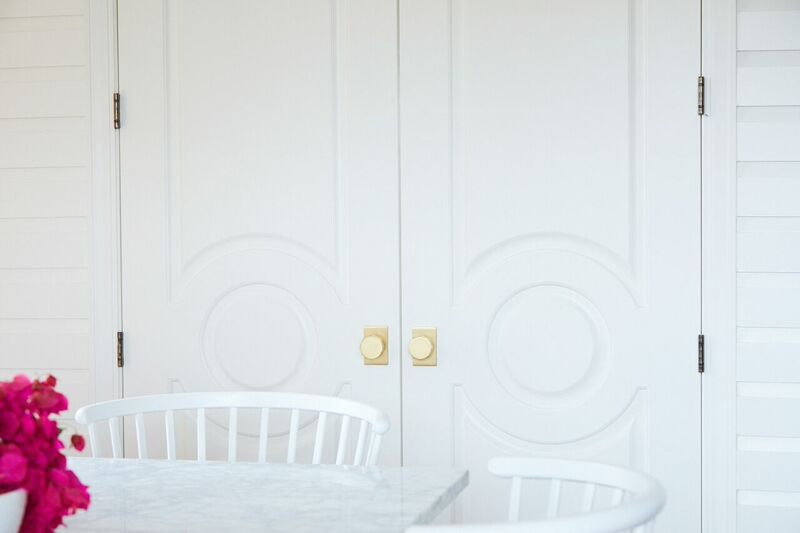 I think my fave might have to be the dining chairs – what a find! It’s beautiful! I love how happy and sophisticated this feels. Great mix. 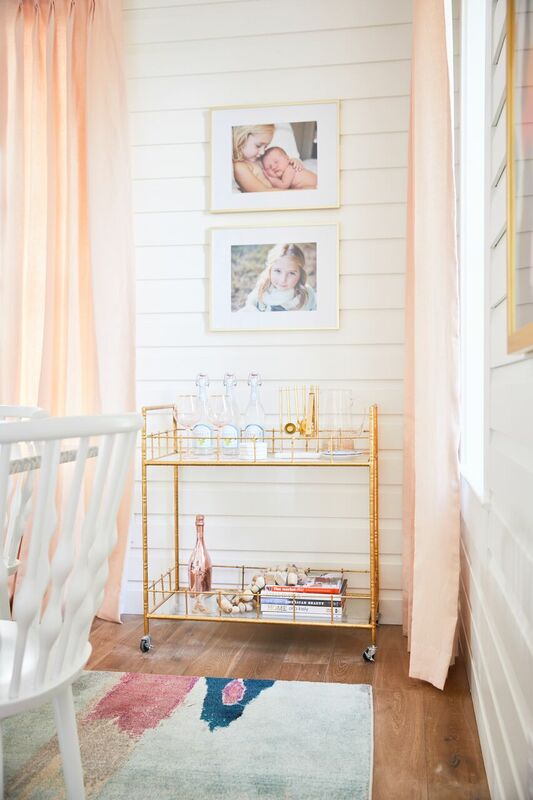 That wall treatment is swoon worthy. So creative! Great job. It is sheer gorgeousness! OMG you are talented. and I love the way you tell the reasons why you like certain aspects of the room! LOVE all the colour in the space 🙂 Now I want everything! Thanks so much for the love!!! Beautifully done. I love all of the different colors! 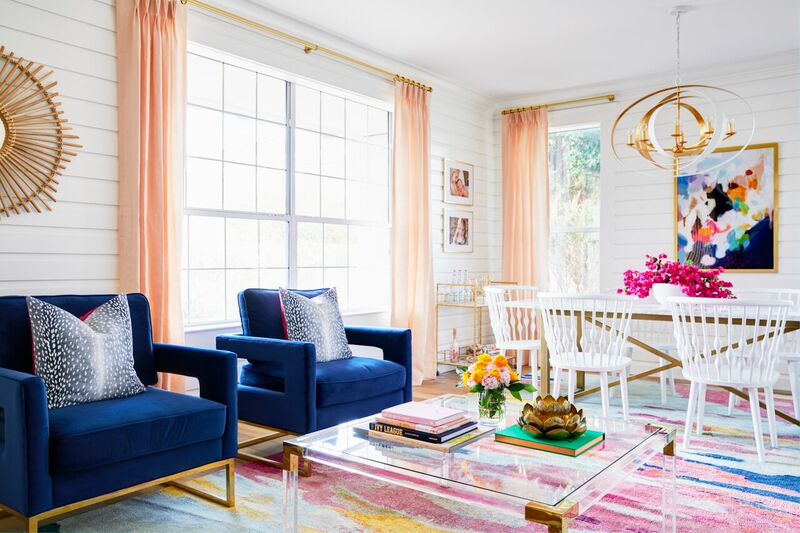 This is beyond inspiring and I think everyone might be rushing out to buy blush colored window panels. 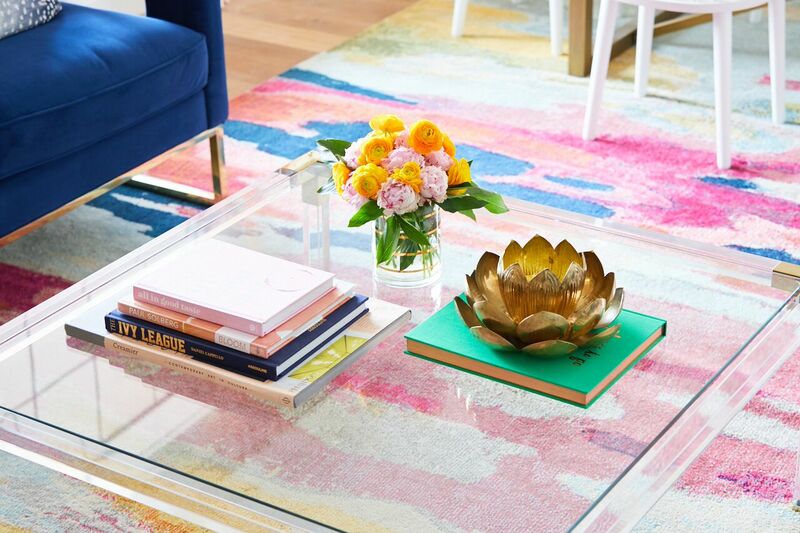 I love every single detail in this light, bright, colorful but so welcoming space! I can’t wait to read more of your blog! Absolutely stunning. I really like the rug and the dining room chairs. Nicely done!